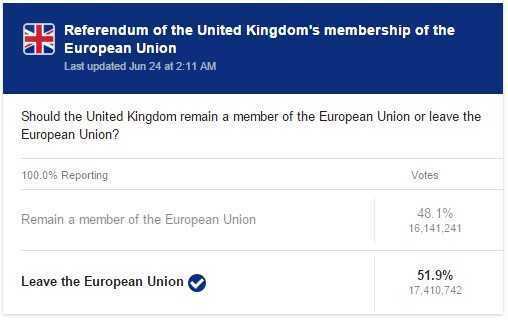 The UK is leaving the EU(European Union) following the referendum vote to leave on Friday 24 June 2016. This historic moment for EU has great impact on financial and binary options trading industry. How does it affect binary options trading industry? Should I start trading in GBP now or wait? Questions are endless so we deceived to answer some of them here for you. Brexit is short for British Exit of the EU. UK’s prime minister(David Cameron) has promised to hold vote whether to stay in the EU or not and he has delivered his promise and people have spoken. However it is worth noting that the vote was very close to about 52% leave and 48% stay vote so it is quite sad that half the people will be unhappy with the outcome. Which countries are involved in Brexit? 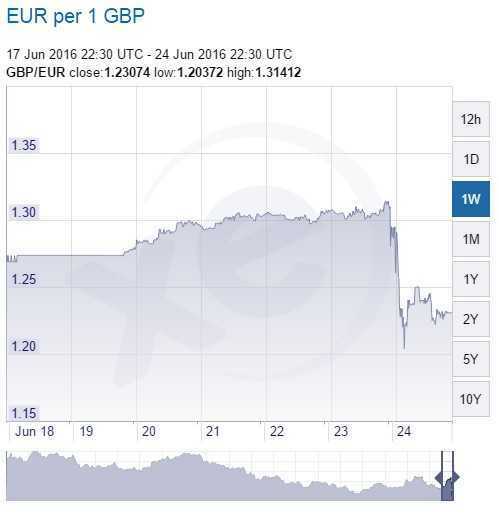 UK has two years to leave the EU but the effects are shocking already with GBP dipped down and then climbed up with follow up news that Scotland is going to stay in EU. Republic of Ireland will be staying and Northern Ireland will be leaving. 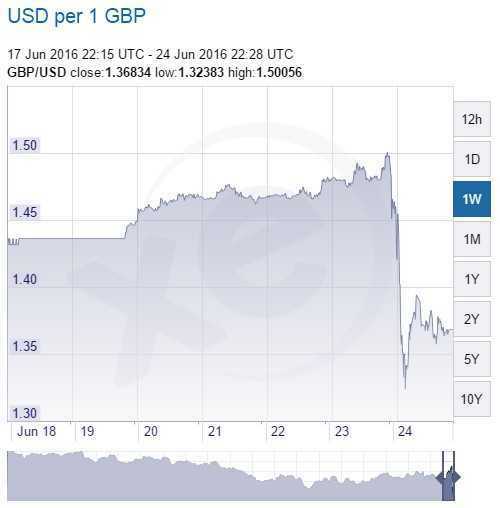 What will happen to Binary Options &(Forex) now after Brexit? We think that Brexit has huge impact on binary options mainly because of regulated binary option brokers. You see many of the regulated binary option brokers operating in EU as a passporting of financial service through MiFID directive which means that one binary options broker registered in any of the EU country can offer their service in same way in other EU countries without having to get regulation. Most of the Binary Options Brokers are registered in Cyprus with CySEC. Now that UK will no longer be part of EU the binary option brokers may or may not be allowed to offer their services without having to go additional paperwork to get authorised to trade in UK. Should I trade with GBP/USD or GBP/EUR? Yes. All currencies pairs of GBP are being affected with any trading with GBP will be fine. What the chart with trend indicator and put your position on 60sec, 5 mins, hourly or even longer if you wish. See the chart for both. It can’t be more perfect time than this. Is there any impact on Auto Trading Softwares after Brexit? The short answer is not quiet. In detail it all depends on the binary options broker which the auto trader is connected to work with. Don’t worry you will still be able to keep using your auto trading softwares as before. Any changes will be informed to you by your broker working with your auto trading software. 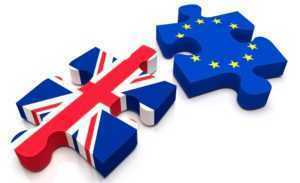 Should I start trading with Binary Options after Brexit? Absolutely yes. The beauty of binary options trading are always that they are extremely simple to operate by prediction up or down and the fact that any volatility is actually good time for trading because of easy to guess trends and make money that way. Just make sure that the binary options broker which you choose are legit or trustworthy or recommended by us or regulated. We have found some scam binary option brokers which deny withdrawals which we really hate. See BOT’s mission to fight such brokers. To find best binary options broker just go below! Avoid scams, make money!